I guess it wouldn't be Halloween season (um at least since 2013) if I didn't plug one of these anthology bad boys in and intensely dislike it. 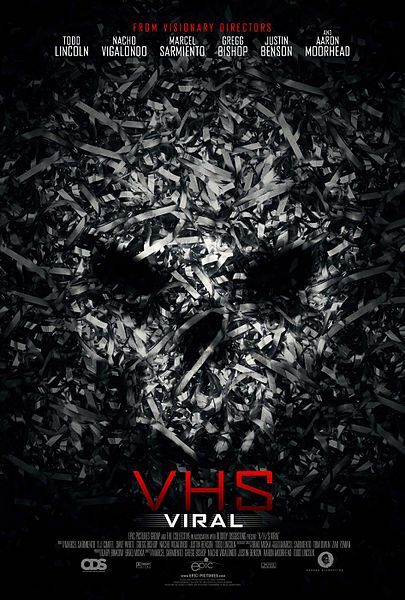 Seriously, everybody should watch V/H/S 2 for the crazy cult segment, but no sketches in the rest of this series have been any good. Here we've got a magician short, a dimension jumping short (that's got some ok oddities), and a skate punk short with a society freakout wraparound. I theoretically still like anthology horror, but maybe what I'm figuring out is that I just really love Creepshow.